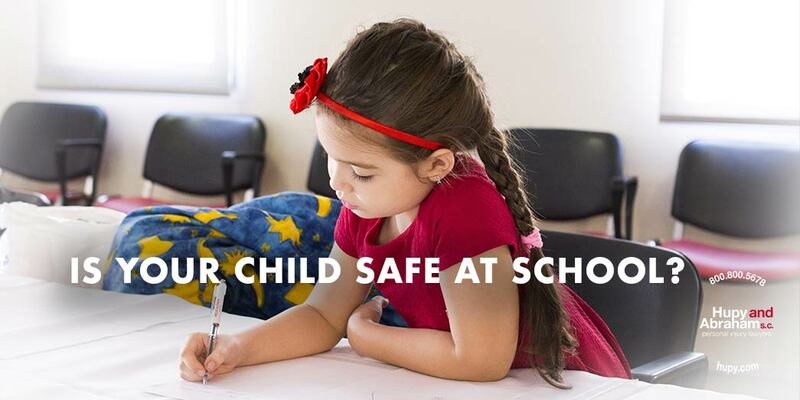 Is Your Child Safe at School? | Hupy and Abraham, S.C.
It’s August, and that means that it is back-to-school time for children and young adults around the country. The National Safety Council has designated August as Back to School Safety Month. As we work to keep our kids safe from known risks such as car crashes, bike wrecks, and sports injuries, it is also important to think about the risks presented by negligent security in schools and on campuses. What Is Negligent Security in Schools? Schools have a duty to provide reasonable security for students and staff. The definition of “reasonable” changes depending on the age of the student population, the location of the school, and other factors. Therefore, the security that is reasonable in a small rural preschool may be different than what is reasonable on a large urban college campus. Procedures to sign preschool and school age children out of school. Locked doors on preschools, schools, and college dorms. Requiring anyone entering a preschool, grade school or high school building to show ID and sign in. Emergency procedures, such as shelter in place. Of course, this list is not all-inclusive and other reasonable security measures may be used. If your child gets hurt this school year and you believe that the school provided negligent security, then it is important to have a full investigation done. An experienced lawyer can look into whether there were security plans in place, whether those plans were reasonable, whether those plans were implemented, and whether you have a potential negligent security claim. If you do have a case, then the attorney can represent you in settlement negotiations and in court. If your child has been injured contact us online or call us directly at 800.800.5678. Be sure to talk to your child’s school administrators before the start of the school year if you have any concerns about security at your child’s school.